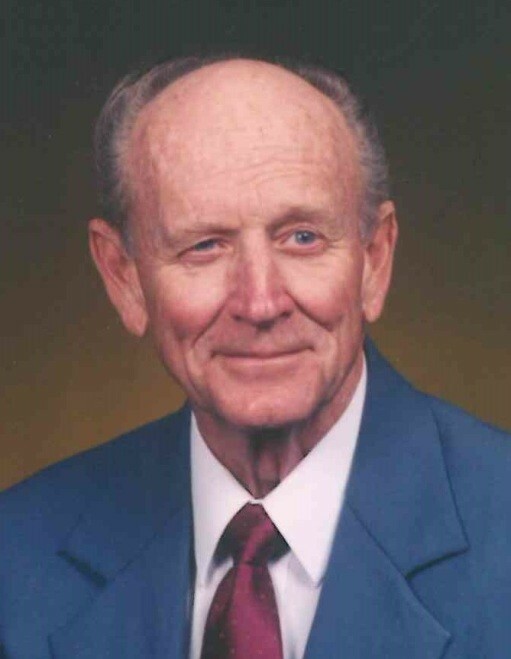 Leo Jacob Schulteis passed away at Saint Luke’s South Hospital in Overland Park, Kansas on August 27, 2018 at the age of 94 years. The youngest son of Henry Schulteis and Maria Katrina (Meier) Schulteis, Leo was born in Fairway, Kansas on July 6, 1924. He attended Westwood Grade School and Shawnee Mission High School. He started golfing at an early age, and was a key member of the golf team that won the Kansas state high school golf championship in 1941. After graduating from high school in 1942, Leo attended Kansas City Kansas Junior College and received a Bachelor of Arts degree from Kansas City University in 1946. He went to work as a draftsman for Colonial Fixture Company, the cabinetmaking business started and owned by his father Henry and brother Dave. Leo married Marian Frieda Paschen at Our Savior’s Lutheran Church on June 22, 1954. They had four children together and made their home in the Kansas City area for many years. In 1961, the couple purchased a farm in rural Louisburg and the family spent summers on the farm until 1974, when they moved from the city to live full time on the farm in the new home Leo and Marian had built there. Leo enjoyed raising cattle on the farm while working full-time at Colonial Fixture. By this time, he was co-owner of Colonial Fixture with his brother Edward, and he continued to work there until they sold the business in 1983. Throughout his life, Leo had a passion for the game of golf as well as for hunting and fly fishing. He endowed each of his children with a strong work ethic, but it is his strong Christian faith and example that is most remembered and treasured. Leo had a habit of reading his bible for 30 minutes every morning, often drawing special comfort from the book of Psalms. His grandchildren noted that when staying at Grandpa’s, they not only said grace at every meal, they prayed twice at every meal: both before AND after. Whenever the Schulteis family gathered for a baptism or confirmation, they filled the church sanctuary and required multiple tables to partake of the Lord’s Supper together. His family takes comfort in knowing that Leo is now at peace in heaven, celebrating the victory over sin and death won for him by his Lord and Savior Jesus Christ. Leo is lovingly remembered by his wife of 64 years, Marian, daughter Carol (Dennis) Smith, sons Lee (Susan), Gary (Karen), and Kirk (Ramie), 11 grandchildren, and 9 great-grandchildren. He was preceded in death by his parents, 2 sisters, and 3 brothers. Visitation will be held at 10:00 am on Saturday, September 1st at Beautiful Savior Lutheran Church in Olathe, Kansas, followed by the funeral service at 11:00 am. Burial will take place after the service at Oaklawn Memorial Gardens in Olathe. The family requests that in lieu of flowers, contributions in memory of Leo be made to Lutheran Church Missouri Synod World Relief and Human Care.